It was an unusually bad Atlantic storm for early June. 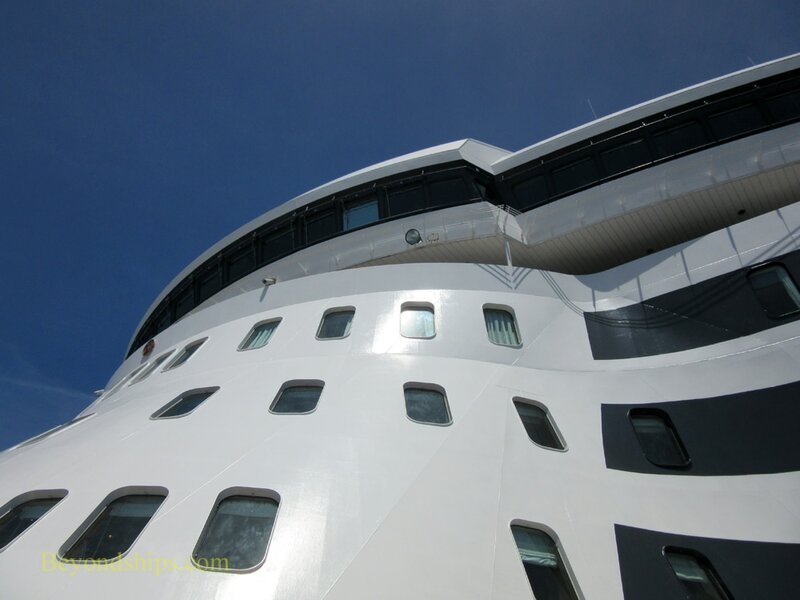 In contrast, during her transatlantic crossings the previous month, Queen Mary 2 had encountered sunshine and Caribbean-like seas. However, this storm with its near hurricane force winds was producing turbulent seas and gray skies across much of the North Atlantic. This westbound crossing had begun on 7 June in Southampton, England. To avoid the worst part of the storm, QM2 was following a more northerly route than usual but the giant ocean liner was pitching as she cut through the 15 meter (50 foot) swells generated by the storm's 60 knot winds. Designed as an ocean liner, QM2 had both the power and structural strength to punch through such seas. Nonetheless, in order to make the ride more comfortable for the passengers, on the afternoon of 9 June, Captain Christopher Wells decided to reduce speed. Still, there were quite a few empty chairs in the dining rooms that evening. Queen Mary 2 was not the only vessel in this part of the Atlantic. The Royal Western Yacht Club was holding its annual transatlantic yacht race from Plymouth, England to Newport, Rhode Island. The 22 boats competing included yachts with two person crews as well as solo yachtsmen. Mervyn Wheatley was sailing his yacht Tamarind by himself. A former Royal Marines officer, Wheatley, 73, had crossed the Atlantic 13 times and was participating in his fifth such race. An electronic display showed that he was leading the other contestants. Having secured his vessel the best he could, Wheatley decided to go to bed. He awoken suddenly at 2 a.m. when he was thrown against the side of the cabin. There was no electricity and thus no light. However, he could feel that there was water in the cabin. Assessing the damage, Mr. Wheatley found that one of the portholes had been stowed in. Moreover, the mast of the yacht had apparently dipped well below the waves, stripping it of its instruments. One of the steering lines had parted and so there was no way to steer the yacht. Using a hand pump, Mr. Wheatley pumped the water from the cabin, a three hour process. He was somewhat annoyed to find that an electronic emergency beacon was broadcasting a May Day signal as his first thought was that he would be able to repair the damage. However, upon further reflection, he decided that the signal was appropriate. Tamarind was now in the middle of the Atlantic. The emergency signal was picked up by the Joint Rescue Coordination Service in Halifax, Canada who dispatched an aircraft to the scene. Since the only communications device that was still working was a handset radio with limited range, Wheatley was not able to speak to the authorities until the aircraft arrived. The authorities requested the bulk carrier Labrador to come to Tamarind's aid. When Labrador arrived on the scene, it was still dark and the storm was still furious. Since Tamarind could not steer, it was decided that Labrador would sail until it was upwind of the yacht and then drift down until it was next to the yacht. An insurmountable problem appeared. Labrador is a big ship. Although a good size yacht, Tamarind was much smaller. There appeared to be no way for Wheatley to climb up Labrador's towering slab sides to her deck. 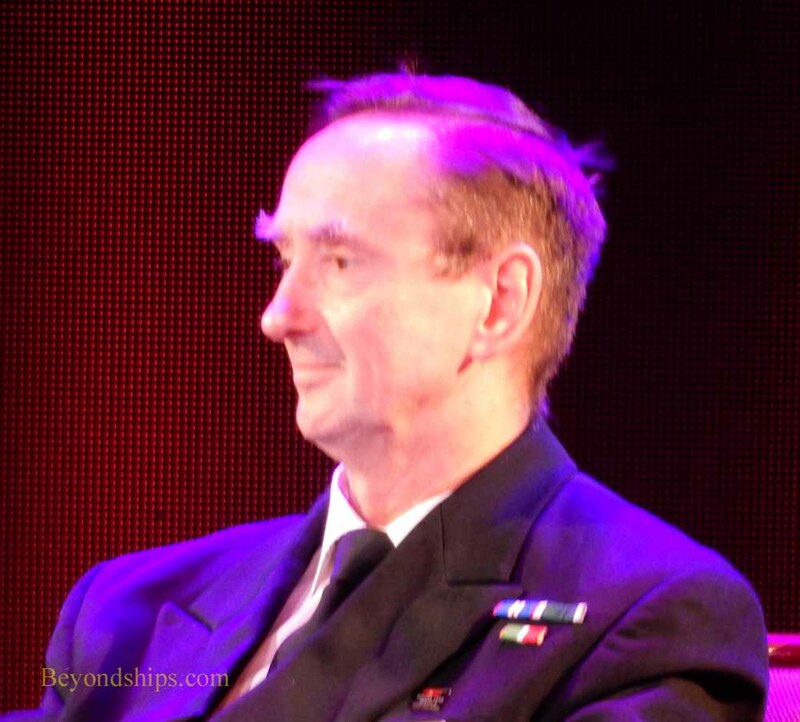 Above: Captain Christopher Wells, Master of Queen Mary 2. 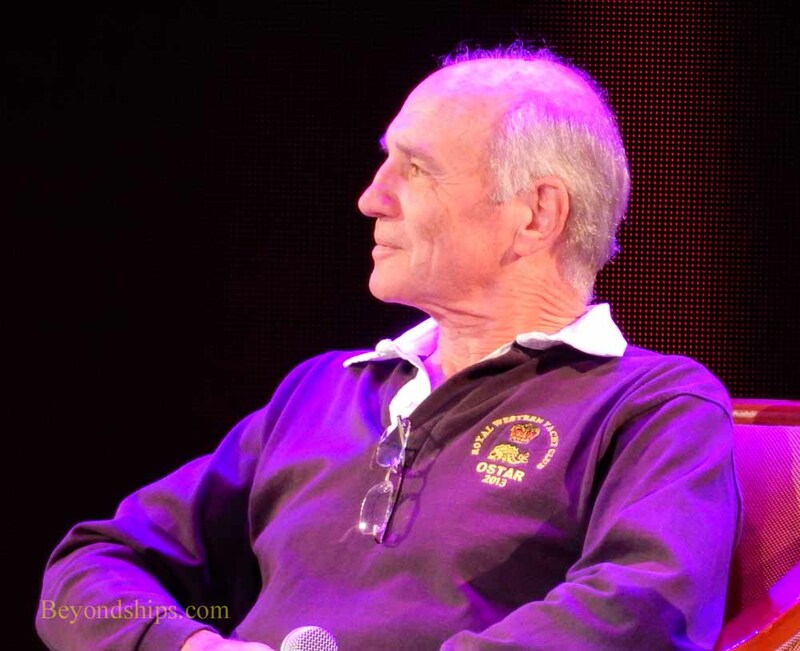 Below: Mervyn Wheatley, the solo yachtsman rescued by Queen Mary 2. 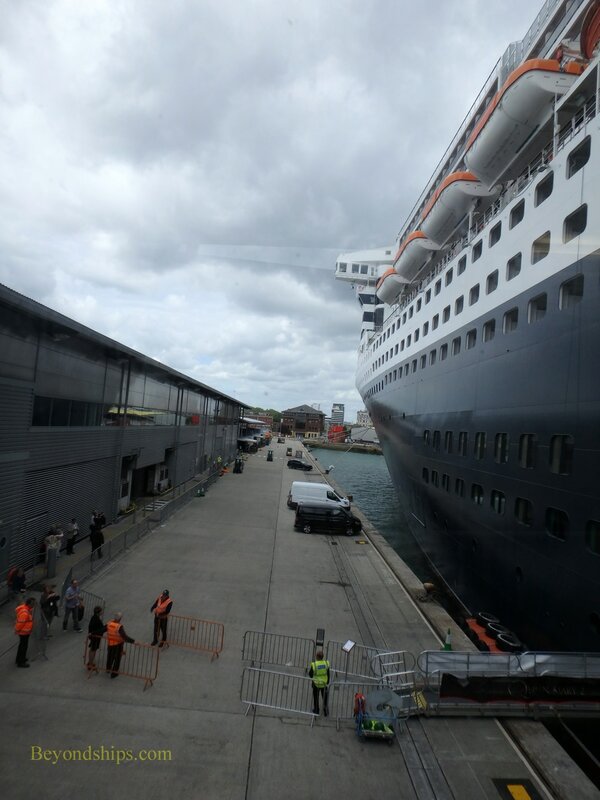 Above: Queen Mary 2 preparing to sail from Southampton. Note the distance between the lifeboats on Deck 7 and the water. 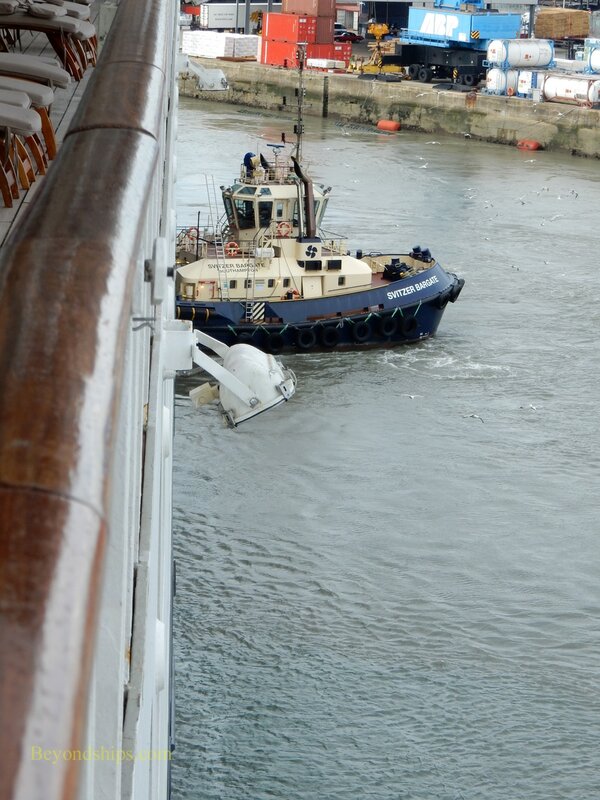 ​Below: It was quite windy when QM2 sailed so a tugboat assisted as the giant liner maneuvered out of her berth.